You haven’t been wearing your favorite jeans because the zipper is broken and keeps falling down? You can fix it yourself for under $1 dollar with our quick tip below. A completely broken zipper needs to be replaced with a zipper repair kit, but a zipper that falls down can be fixed easily by you. 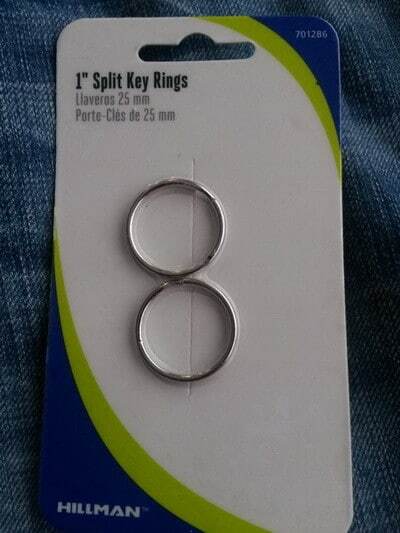 All you need is a simple common key ring. 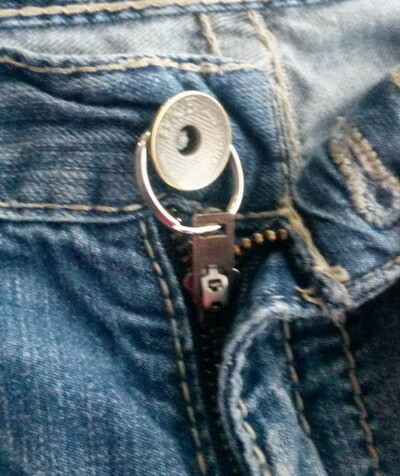 Attach the key ring to the zipper through the hole. 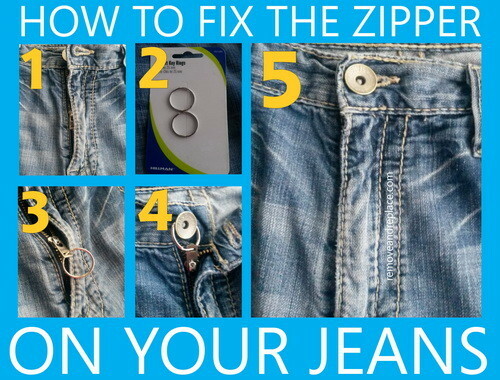 Zip up the zipper and attach the key ring to the button on your jeans. 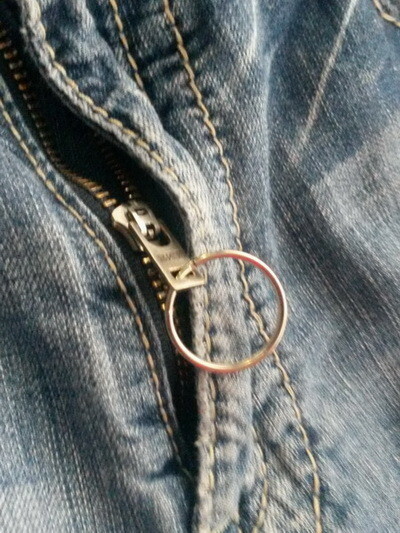 Then button your jeans as normal to hide the key ring from sight. Done! When your zipper is stuck, rub a graphite pencil on the teeth of the zipper that is stuck, or spray with Windex spray to lubricate. Slowly work the stuck zipper up or down and it should become unstuck. If the teeth of the zipper won’t close, check to be sure the cloth or string isn’t stuck in it, if the teeth are out of place get a pair of pliers and straighten them out. The zipper pull broke off, just get a paper clip or similar and slide it in place and bend to make a handle. This isn’t pretty but you will be able to use your zipper as needed. 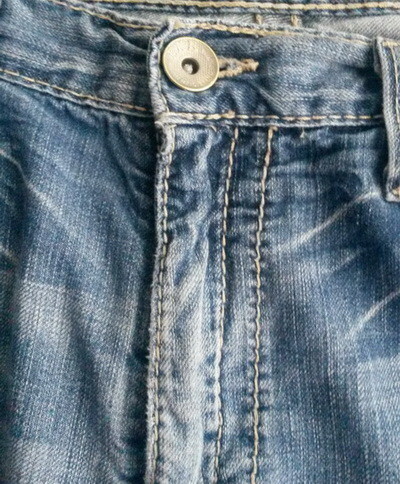 Close the button on your jeans to hide the ring! 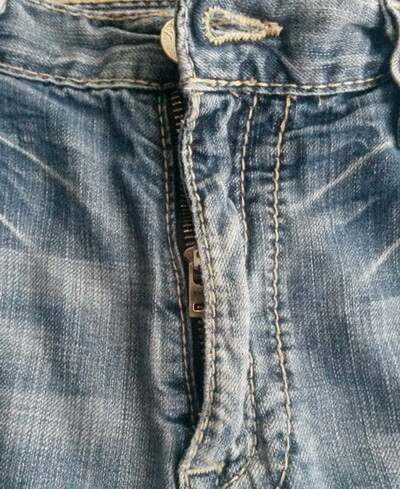 Know of a better way to fix the zipper on your jeans? Please leave a comment below and let us know!